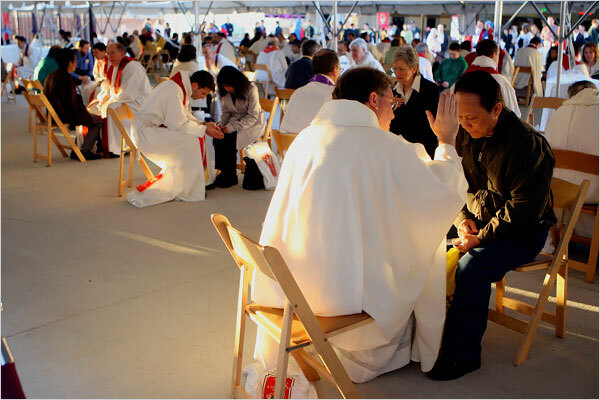 The Sacrament of Penance is known by a number of other names too: Confession and Reconciliation. We might also add Conversion, Forgiveness and Satisfaction, since all of these are elements of this healing sacrament. In the celebration of Penance a Christian, aware of the sinfulness of his/her life, responds to Jesus’ call to conversion (‘Repent and believe in the gospel’) by seeking God’s forgiveness and resolving by the help of his grace to sin no more. The penitent speaks to a priest about particular sins or areas of his/her life that seem troubled and then receives sacramental absolution. In this beautiful prayer the penitent hears how God has sent the Holy Spirit amongst us for the forgiveness of sins; how through the ministry of the Church they will receive pardon and peace; and how it is Christ himself who wipes away the ugliness of sinfulness with the words: ‘I absolve you of your sins’. The penitent will usually be asked to perform some sort of penance, as a sign of his/her conversion and a means to achieving it. The penance might be a simple prayer or extended period of prayer or perhaps some sort of action to be performed in the coming days. 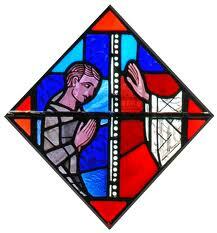 Penance is celebrated on Sundays after Mass at March and Chatteris. Also by appointment with the parish priest. Twice a year, during Advent and Lent, a Reconciliation Service is celebrated at which a number of local priests from the deanery are available to hear confessions.